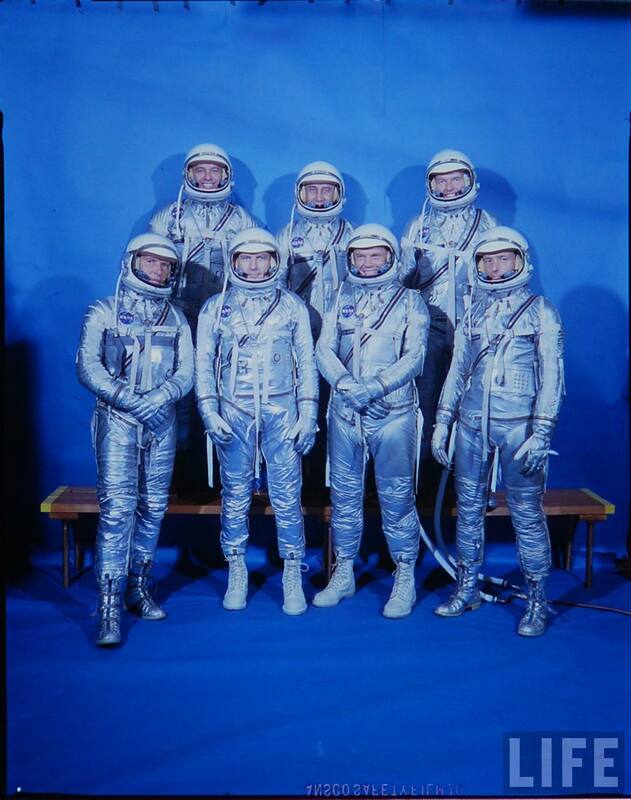 An alternate take of the famous Mercury Seven spacesuit shot. The biggest differences between this one and the famous version are probably the expressions of Alan Shepard (back row, left) and John Glenn (front row, second from left). 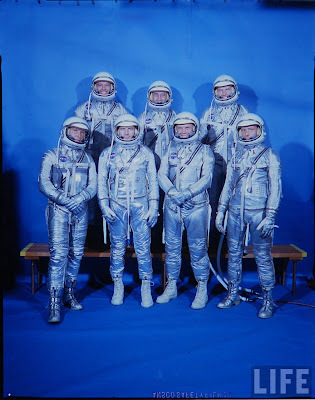 These group shots are rare and very valuable: According to many space historians, only one picture exists of the Original 7 in their spacesuits together. The above photo - and several more that I'll be posting in the near future - prove them wrong. Front row, L-R: Wally Schirra, Deke Slayton, John Glenn, Scott Carpenter. Back row, L-R: Alan Shepard, Gus Grissom, Gordo Cooper.